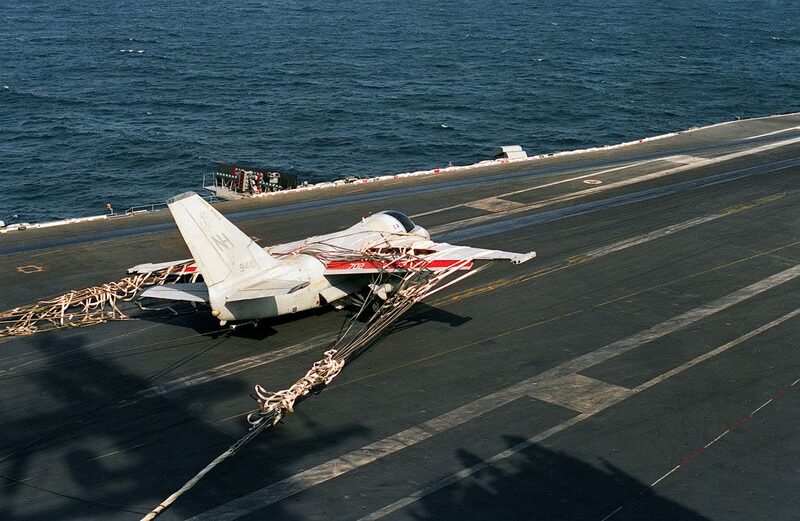 If a carrier-based airplane has a major issue and there are no airfields available, aviators are faced with two options. 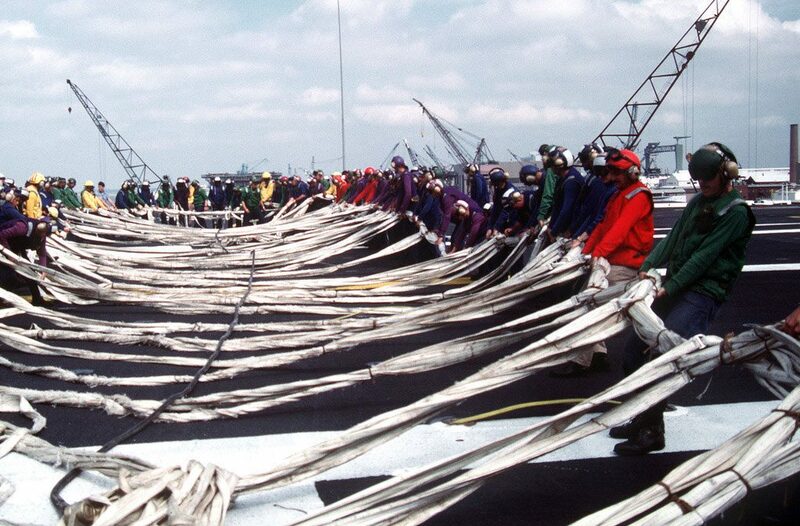 Ejecting or taking their chances with the carrier’s crash barricades. 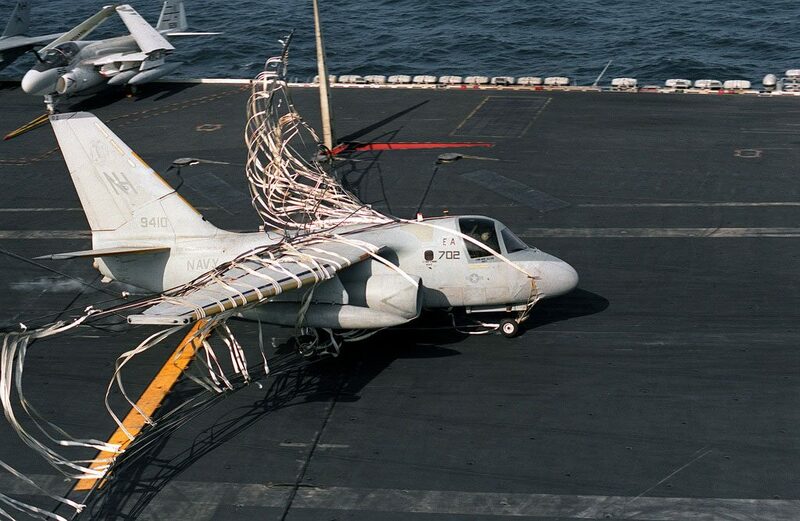 The barricade keeps crews out of the water and allows for the possibility that the troubled Navy aircraft could fly again. 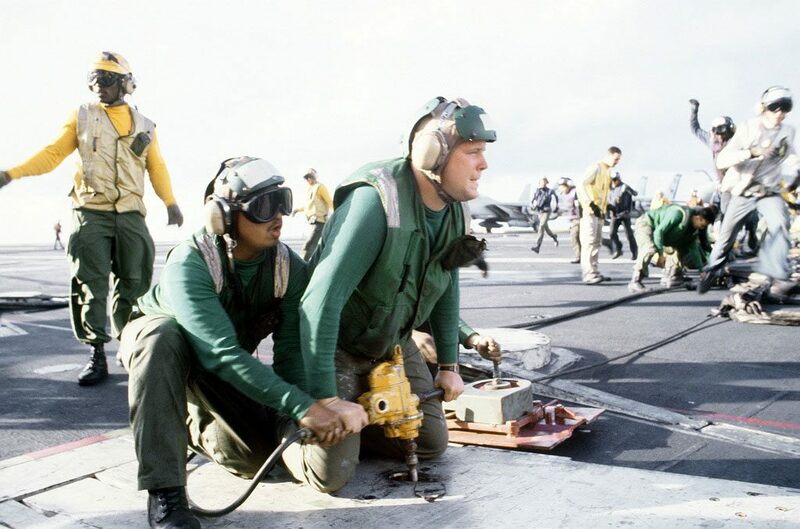 Even though barricade engagements are a rare, flight deck crews must train regularly to get them set up within minutes of being notified. 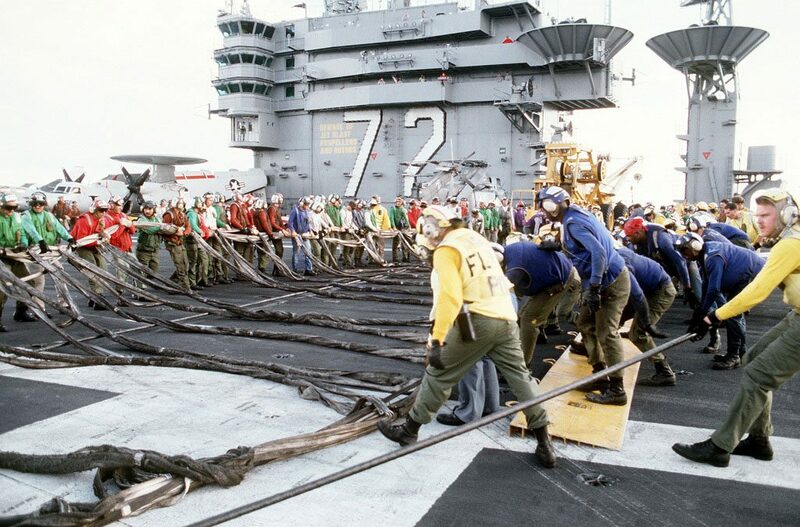 The first aircraft carrier barrier was just a set of wires about waist high followed by the Davis Barrier which was a shorter version of today’s barricade. Something more substantial was needed to stop jet-age aircraft and so the Barricade was born. 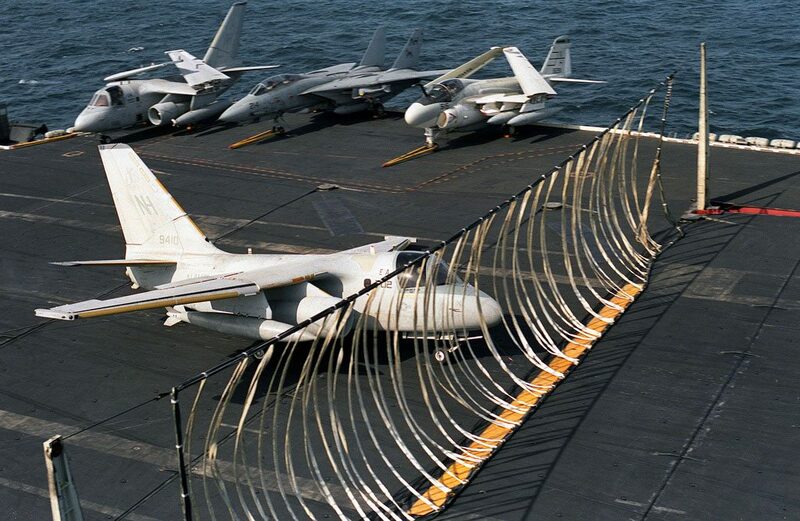 The barricades have saved lives and airframes over and over again and they remain an important asset aboard modern aircraft carriers.